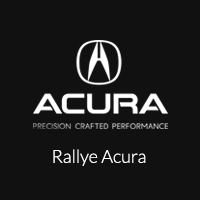 You can tour the cabin of this small luxury sedan today at Rallye Acura in Roslyn, but first get a glimpse here. The 2018 Acura ILX is a small sedan, but that doesn’t mean it can’t accommodate you and your friends around Manhasset. The ILX can seat up to five passengers and has a total interior volume of 101.6 cubic feet. There’s also enough room to store luggage for a weekend’s trip in the trunk, which measures 12.3 cubic feet. The 2018 Acura ILX is now available near Manhasset at Rallye Acura, your Port Washington area Acura dealership at 1750 Northern Boulevard in Roslyn, NY. Stop in today for a test drive and to compare the Acura ILX to the Acura TLX. We’re open every day of the week, and you can reach us online or call us with questions at (516) 508-9147.